One problem with osteoporosis, stroke, dementia, and cancer is that they’re silent diseases. If only we could discover them at their earliest, most manageable stages, we could stay healthier longer. We know that the sooner you discover the cause of a disease the more you can do to prevent it from occurring or from progressing. 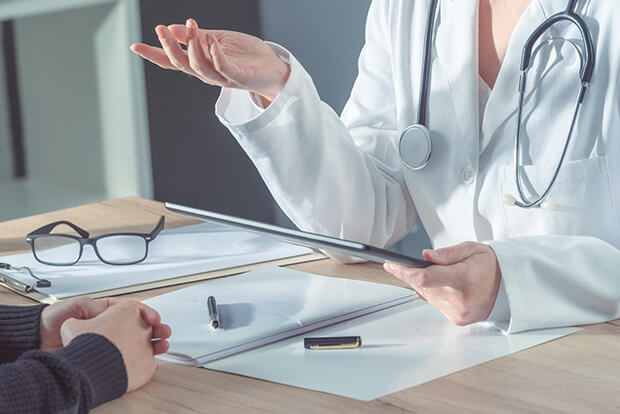 The problem is that regular checkups with your primary doctor, even with routine tests, often fail to uncover the root cause of many serious illnesses. The good news is that there are health care providers who can help predict our risk. They are discovering early warning signs of osteoporosis, inflammation, and other degenerative conditions associated with aging that we can use to protect ourselves. But these are not your average doctors. Here in the US, we spend more than $3 TRILLION on healthcare. Despite this enormous expenditure, one MILLION people die each year of preventable diseases. Many of us have insurance, which might be too expensive for a ‘fishing expedition’ into our health. For this reason, many people have been moving toward creating their own wellness protocols and looking to Functional Medicine for preventative measures. That’s where this type of medical professional could be so important for your health. These valuable members of our health care team are a new breed of dentists. That’s right, dentists. These new dentists are looking for — and often finding — early signs of chronic diseases in the mouth and jaw. But they don’t limit their finding to the mouth. You see, these dentists see a direct connection between a person’s oral health and systemic illnesses. And they’re partnering with integrative doctors and naturopaths to heal both the mouth and other affected areas. They practice Functional Medicine — a science-based medical modality that looks for the underlying causes of chronic disease. Functional medicine looks at the whole person. This includes genetics, lifestyle, and environmental factors, not just symptoms. Functional dentists apply this holistic view to dental care and maintenance. Some dentists also look at independent risk factors. These can include mercury toxicity and bacteria trapped in the jaw or gums from poor hygiene or past root canals. But much more specific information is now available. Here is some of the more current information that this new breed of dentists is using to identify and reduce risk factors that all too often lead to serious chronic illnesses. At this time, there are not a great many dentists who practice functional medicine. But don’t be frustrated if you have difficulty finding one. This is the future of dentistry, and more will surface in the next few years. Meanwhile, the few Functional Medicine dentists are worth seeking out. About 10 years ago, researchers discovered a connection between oral health and two seemingly unrelated conditions: osteoporosis in the jaw and dementia. The common denominator was inflammation and a buildup of plaque. Their findings may change the way you care for your teeth. By modifying your dental regime now, you could protect yourself from osteoporosis in your jaw and stave off dementia at the same time. Plaque is a mixture of bacteria, bacterial waste, and food particles that feed the bacteria. If your dentist or hygienist doesn’t remove it, the plaque triggers an inflammatory response that can erode the socket that anchors a tooth in place. In other words, plaque can lead to tooth loss. This is the same process that weakens other bones in osteoporosis, like the jawbone. In 2011, the journal Menopause recently published a study of postmenopausal women. In this study, the researchers found that women who were at risk for osteoporosis were also at risk for periodontal disease. All of the women in this study had increased levels of dental plaque. This was in spite of the fact that all of them brushed twice a day, flossed, and had at least two cleanings a year with their dentist. Two cleanings a year are often not enough to control plaque. This increased plaque could put you at risk for loss of bone density in your jaw. And lead to dementia. A large Japanese study of more than 4,000 participants aged 65 or older found that people with missing teeth were at an increased risk for memory loss or beginning Alzheimer’s. Not surprising, they rarely saw a dentist. This bone loss in your jaw can lead to more than just dementia. Bone loss often starts to show itself in your jaw before anywhere else. So if you want to know whether or not you’re at a high risk for osteoporosis before it shows on a bone scan, ask your dentist to look at your most recent dental x-rays. If your lower jawbone shows signs of thinning, it’s time to become more aggressive and be more pro-active in protecting your bones. A study published in the journal Nature Reviews Endocrinology (December 2011) examined more than 700 women for over 40 years. At the beginning of this study, the women were between the ages of 54 and 83. It turned out that one out of five of these women was at a significantly increased risk of having fractures later in life. The older the women, the stronger the association was between a thinning lower jaw and fractures in other parts of the body over the years. If your jawbone looks dense and healthy, or shows only minimal signs of thinning, a bone-saving formula containing strontium could give you all the protection from later bone loss that you need. But if your dental x-ray shows signs of deterioration, you may want to add calcitonin nasal spray from salmon. This is a prescription drug made from a natural source of salmon. Unlike Fosamax and other bisphosphonates, it does not cause more bone loss in the jaw. Not all x-rays are alike. The most accurate dental x-rays are 3D cone beam x-rays. This is the ultimate in dental imaging. If a traditional dental x-ray does not identify a suspected problem, ask your doctor to re-check you with a 3D cone beam x-ray. It’s worth the added expense — and tracking down this x-ray technology — if it identifies the early sign of a problem that would otherwise go undiscovered. These x-rays can find the cause of phantom pains and the best treatment for root canals. A good friend of mine credited her Functional Medicine dentist for saving her life. Her dentist insisted on the 3D cone beam x-ray. She identified major infections that regular x-rays couldn’t find. You can get more information on this exciting technology at www.revealdiagnostics.com. Any condition that ends with “itis” means “inflammation.” So “periodontitis” refers to an inflammation in the gums. When it becomes chronic (lasting more than three months), periodontitis can be an independent risk factor for a number of serious health problems. This can include cancer in the head and neck. A study published in Cancer Epidemiology, Biomarkers & Prevention recently discovered this connection. 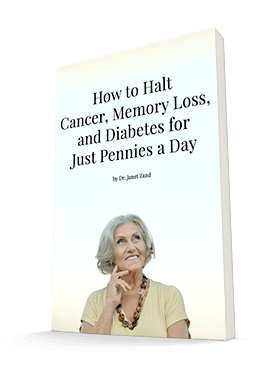 Another study, this one was in the Journal of the National Cancer Institute, found an association between periodontal disease and an increased risk for pancreatic cancer. And an article in the prestigious journal The Lancet (2008) found an early association between periodontal disease and potential changes in immunity. By preventing or treating periodontitis, you may be lowering your risk for a number of cancers. Periodontal disease has also been associated with a vitamin D deficiency. It’s possible that an increased risk for various cancers — like stomach, bladder, oral, and pancreatic cancers — could be caused by periodontitis from low levels of vitamin D. A simple blood test can determine whether or not you have a vitamin D deficiency, and 5,000 IU per day of vitamin D3 should correct it if you do. Some Functional Medicine dentists are looking closely at the role of both inflammation and vitamin D in relation to an increased risk for various cancers. Some of them are seeing an association with failed root canals in their patients. It’s too early to say that root canals lead to cancer, but I suspect we’ll be hearing more about this theory in the future. We know that diabetes is a risk factor for stroke, but new research from the British Dental Health Foundation points out that gum disease is a lesser-known risk factor. In fact, it’s almost the equivalent to high blood pressure as a major cause of strokes. Researchers found that periodontitis nearly doubles a person’s risk for non-fatal strokes compared with diabetes. The cause for many of these health issues is plaque. Untreated, a buildup of plaque leads to infection in the gums. This infection can trigger the release of inflammatory substances that can travel into the brain and cause a loss of memory and other health problems. While you can’t reverse the effects of gum disease, you can prevent further damage if you do enough. It’s not what you think. There’s no doubt that all of us should be brushing, flossing, and using interdental picks or brushes twice a day. This is the standard way to prevent the buildup of plaque on our teeth and to stimulate healthy gums. We should see our dentist for cleanings and to take care of any infections or other problems as they arise. This should be enough to support our overall health, since studies have connected heart disease, stroke, diabetes, and lung disease to poor oral health and a buildup of plaque. But it’s not enough if you only get one or two cleanings a year. Postmenopausal women need much more, say researchers at the Case Western Reserve University School of Dental Medicine and the Cleveland Clinic. In fact, we may need deep cleanings as much as three to four times a year. It’s time to talk with your dentist about how controlling plaque, infections, and inflammation can affect your heart, bones, and memory. Ask how often you need professional cleanings and put aside the time and money for them. Occasionally, periodontitis is systemic and requires a full functional medicine evaluation and treatment plan. In my practice, I have found that patients with excessive plaque often have compromised digestion. Improving their digestion and reducing acid reflux will most often lead to reduced dental plaque. This is why I have many of my patients take Integrative Digestive Formula. It can help fix digestive issues that we know contribute to plaque. The bottom line is that your dentist is more than a tooth technician, especially if he or she practices functional medicine. Go to the most knowledgeable dentist you can find and utilize their expertise about your whole body health. For dental information encompassing functional medicine you can trust, go to https://www.faim.org/dentistry. American Association for Cancer Research (2009, September 8). Prevent Periodontitis To Reduce The Risk Of Head And Neck Cancer. Grant, William B. “Vitamin D, periodontal disease, tooth loss, and cancer risk,” wbgrant@infonline.net.